Seven years after being declared extinct, wiped out as a result of shifting weather patterns associated with climate change, a species of snail native to the Seychelles has been rediscovered, alive and well. Aldabra banded snails aren't widely known outside the one atoll where they're found in the West Indian Ocean, but their widely-reported demise in 2007 made them a poster child for a new era of extinction among biologists. In the 1990s, the once-plentiful snails seemed to have disappeared entirely, apparently unable to cope with the longer, drier summers associated with global warming. 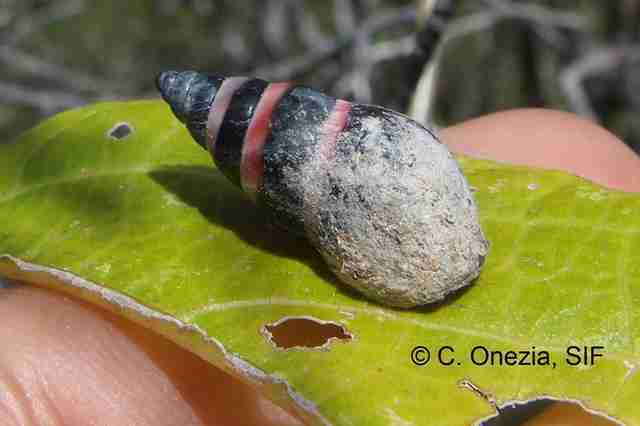 Researchers who predicted climate change would lead to extinctions pointed to Aldabra banded snails as one of the first to be claimed. But a recent discovery is now offering a glimmer of hope for the species. Late last month, a boat skipper named Shane Brice was traversing a remote part of the Aldabra atoll and spotted a "mysterious snail" he says he'd never seen before. He alerted ranger Catherina Onezia, from the Seychelles Islands Foundation (SIF). "When Shane showed me the snail I thought deep down, surely it can't be the endemic snail! I only dared to believe it once I checked it out back at the office," says Onezia in a press release. Despite being decimated on other areas of the island, a small population of the snails had managed to survive and breed, seemingly unaffected by the harsher climate of recent decades. The snail's reemergence, say conservationists, demonstrates that there's still time to protect and conserve the species, and others believed to be on the brink of being lost to the ages. "This snail provides hope for other island species, of which we have already lost too many," says SIF CEO Dr. Frauke Fleischer-Dogley. 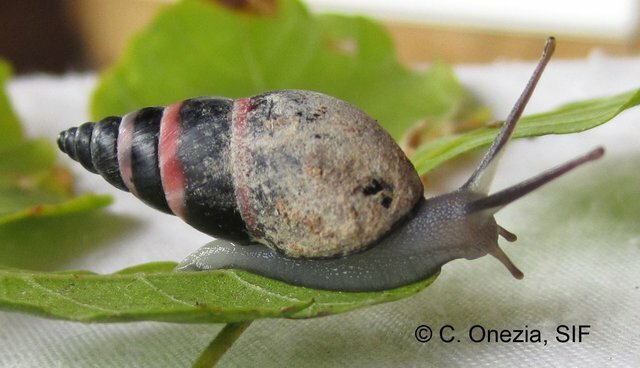 "There is still very little known about the ecology of this rare snail but the rediscovery provides an incredible second chance to protect and study this historical species in the wild and ensure that it is not lost again. Climate change may not have caused the demise of this snail, but climate change impacts remain a likely threat to this species and many others globally."